There a number of sites doing comprehensive coverage of the New York Comic-Con, so as usual I’ll just worry about looking at what interests me. Day One saw mostly existing stuff on display with the bigger announcements to come later. Mattel’s Ghostbusters line was there for the viewing, and fans of that property are going to be well pleased – the 12” figures are beautifully detailed. It made me wonder if Mattel will ever look at 12” DC Universe figures – if this is an indication, they would be well done. 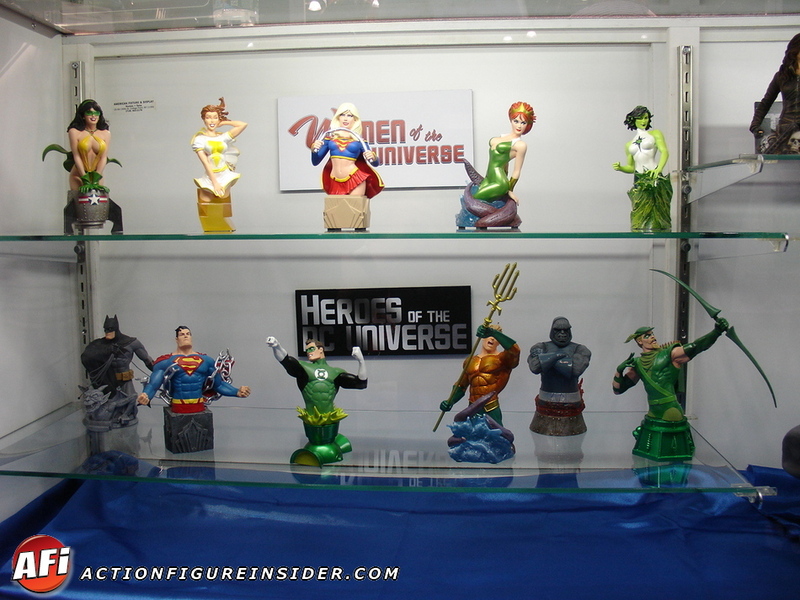 In my area of interest, the most exciting reveal on Day 1 was the DC Direct Women of the DC Universe Mera Mini-Bust. This is the first time DCD has done a Mera item, and she looks excellent. I’ve actually started collecting some of these mini-busts (haven’t got around to blogging them yet) and while some in the line go too for into cheesecake for me to enjoy, the Mera mini-bust looks more realistic and right on the money. Alongside her, it looks like Aquaman and Green Arrow are both getting mini-busts in the DCD Heroes of the DC Universe line, and they both look amazing. Many thanks to Action Figure Insider for the look. 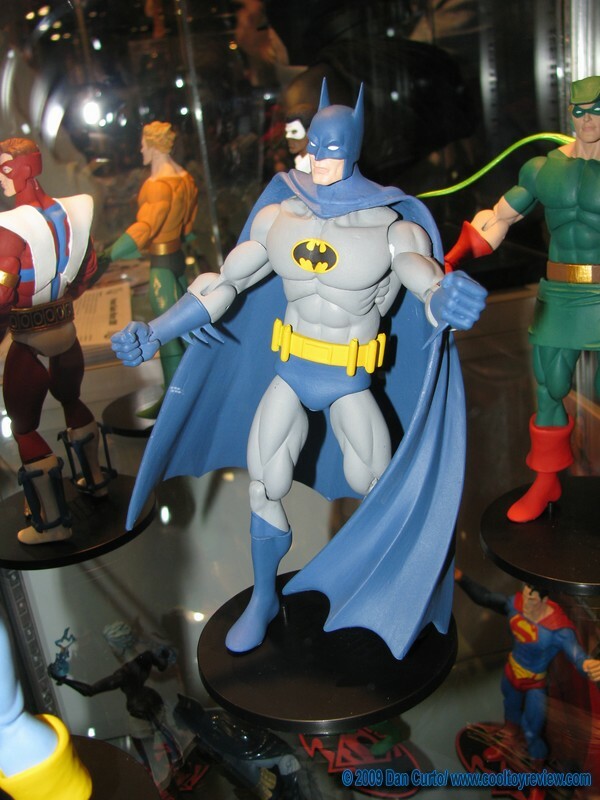 Still on DC Direct, we got a look at the History of the DCU line, and the figures look very promising. In particular, the Batman looks like he might just be “the” Batman we’ve been waiting for all these years. A site I’d never visited before, Cool Toy Review, had this excellent shot of a figure I will look forward to with great anticipation. It’s exciting to see DCD experimenting with a bit more articulation. Here’s hoping this line becomes a comprehensive representation of the DCU. On the Marvel side, we got a huge preview of the upcoming Hasbro Marvel Universe 3 3/4” scale figures, which reinforced my view that these are going to blow Infinite Heroes out of the water. Well, Mattel is certainly killing the 6” retail line for superheroes with DCUC, so perhaps it’s okay if Marvel heroes are reigning in this smaller world. Here’s hoping these land in Oz – a good chance since there is a lot of Hasbro product here at retail. 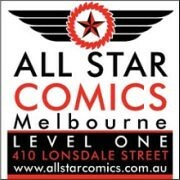 If so, this may become the scale in which I collect the Marvel Universe. Time will tell! The raspberry award goes to the news that the Justice League Unlimited Amanda Waller figure will be a Target Exclusive. We have Target here, but they don’t carry this line so it’s eBay for us. I understand retailer exclusives are a necessary evil in today’s market, but gosh they make it hard for the overseas collector. That’s my take on Day 1 – definitely looking forward to some reveals tomorrow! Sorry, dude or girl, but the 3 3/4 line reign is owned by JLU. And the Doctor makes the team! I own a piece of DCUC Wave 5!! Batman: The Brave & The Bold – in Oz! Who should be next in JLU? Have your say! Toy Fair: Stuff to buy, stuff to hide…..
Um…. was anyone watching the Watchmen? DS9 Series 2 – That’s more like it! JLI Series 1 – Ah, the memories……. kinda…..